My mission is to allow people on a gluten free diet to easily make any recipe without sacrificing taste, texture or quality. I created Blends by Orly Gluten Free Flour to fill an important missing piece in the gluten free market. I noticed that the only available gluten free baking products were one-size-fits-all flour. But the truth is - an all-purpose gluten free flour may work well in a cake recipe that is heavily masked with chocolate, but it will often yield an undesirable texture and taste in other baked goods. What makes Blends by Orly unique is that it's comprised of different blends of gluten free grains in order to give bakers the most perfect results whether they're cooking and baking. Blends by Orly bread flours even perform wonderfully in bread makers on the gluten free setting. Simplifying delicious gluten free baking, Blends by Orly can be used as a 1 to 1 replacement for wheat flour in any recipe. The blends are made with the highest quality wholesome gluten free ingredients, including quinoa, sorghum, millet, and brown rice, and they contain no sugar or additives. Blends are OU Kosher and Non GMO certified, Nut Free, Vegan and Corn Free. 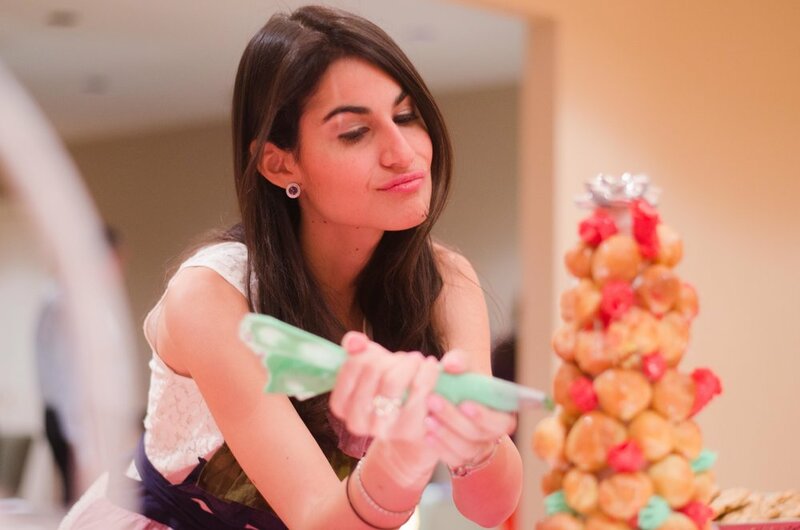 Orly was driven to develop a gluten free baking product that didn't compromise on taste because of her food-centric husband living with celiac disease. Originally from New Jersey and a graduate of NYU, Orly and her husband were living in Paris when Orly took an apprenticeship at Parisian pastry shop. The initial motivation was hoping to learn some of the classics so she could re-create them for her husband.... minus the gluten. But it was there she discovered her passion for baking, and Orly went on to receive her formal patisserie training from the Le Cordon Bleu Culinary Arts Institute in Sydney, Australia. Orly's studies were so successful that Le Cordon Bleu has included her research in their curriculum. Named London, Manhattan, Tuscany, and Sydney Blends after the culinary delights of that city. Blends by Orly are sold in stores throughout the USA on Amazon and online.